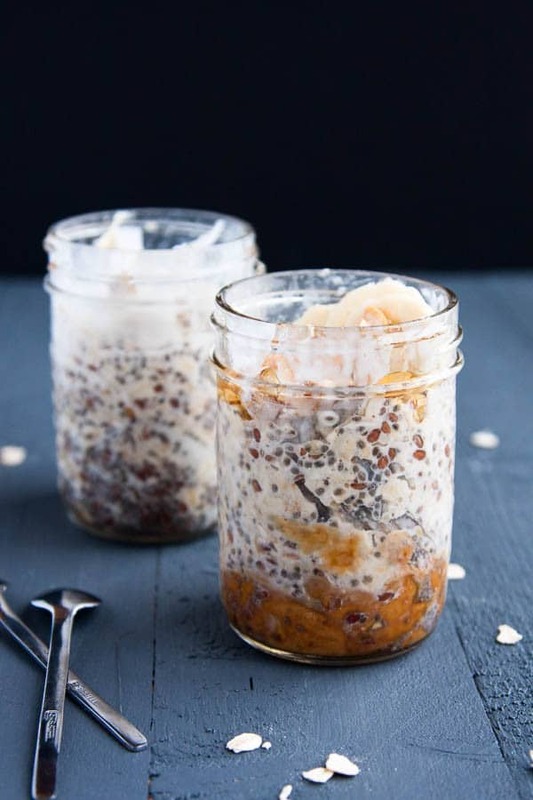 Overnight Oats are SUCH a trendy breakfast right now. Well, overnight oats and smoothie bowls. 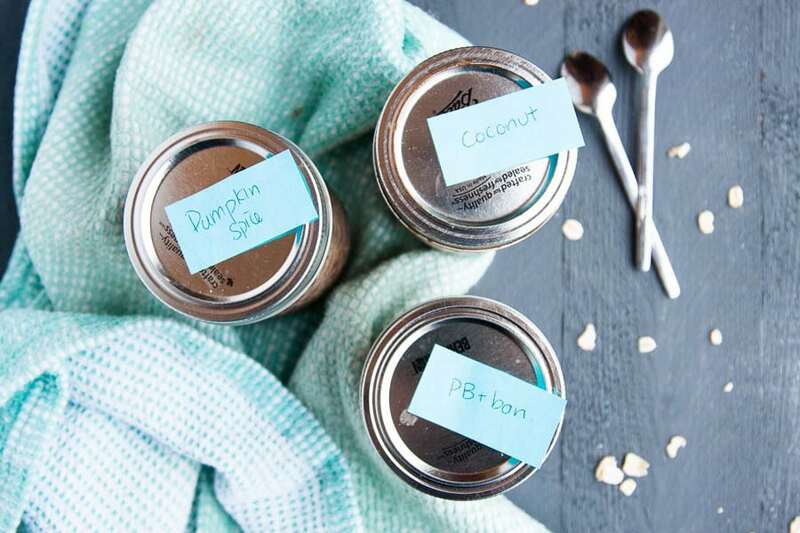 If your feeds are anything like mine, you might scream if you see another picture of a perfectly styled smoothie bowl or overnight oat mason jar. 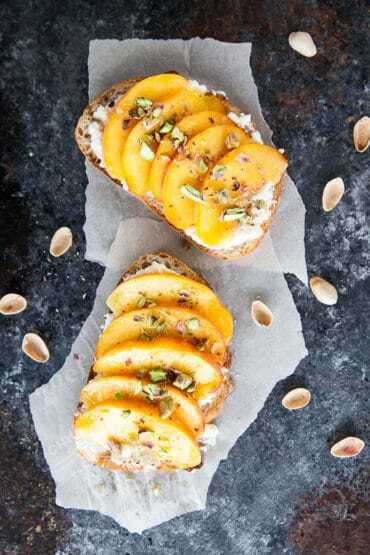 Because I felt like overnight oat recipes were saturating the Internet, I got super irritated, decided I didn’t like them, and ruled out ever making them. Even though I’d never even tasted even one overnight oat before. And so it was my fiancé, who mispronounced the word chia up until a few months ago, who forced me try overnight oats. And you guys, I am sold. Overnight oats are DELICIOUS. What took me so long?!?!?! I was mostly worried that they would taste like cold mush and I couldn’t fathom eating oatmeal that wasn’t warm. 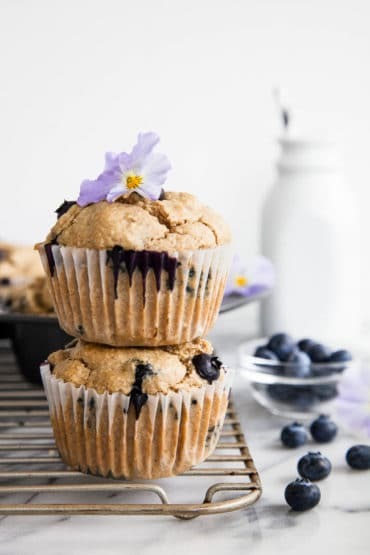 But let me tell you, they do not taste like cold mush – they taste like creamy, healthy, simple deliciousness. 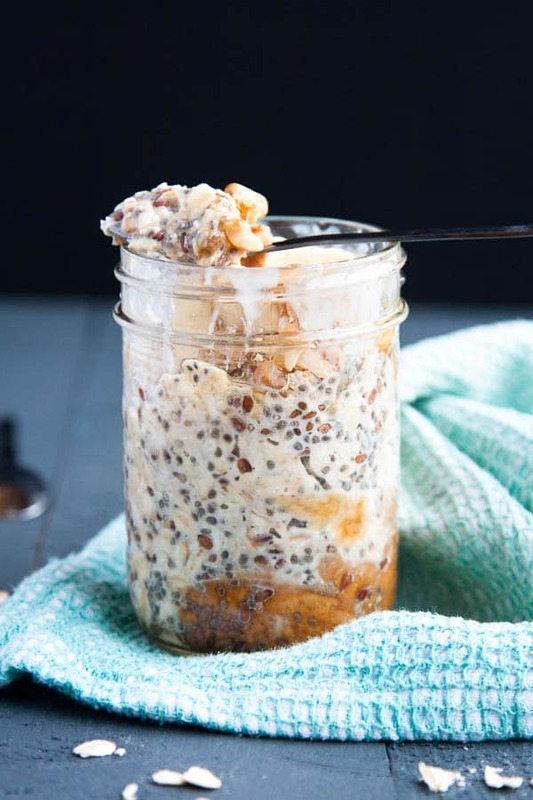 Overnight oats are quick to prep the night before and then in the morning – you can just grab your convenient mason jar from the fridge and breakfast is ready faster than you can say chia seeds. 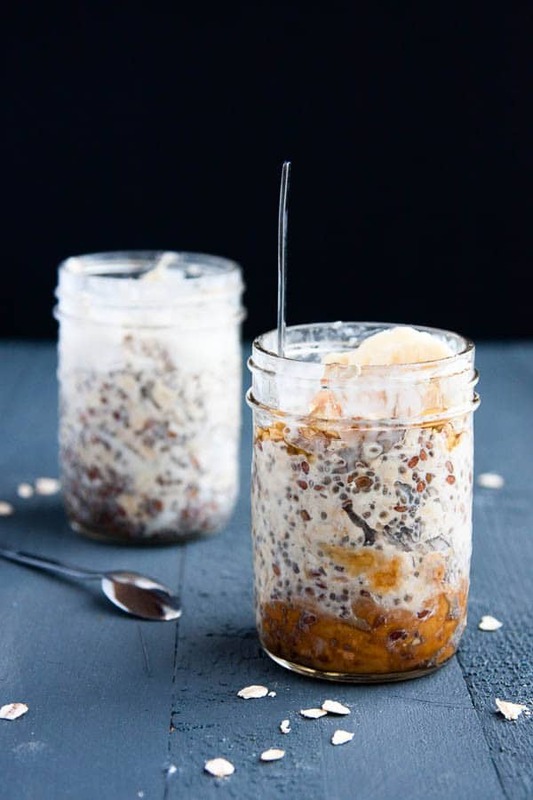 If you’re an overnight oats hater like I was, GIVE IT A TRY! 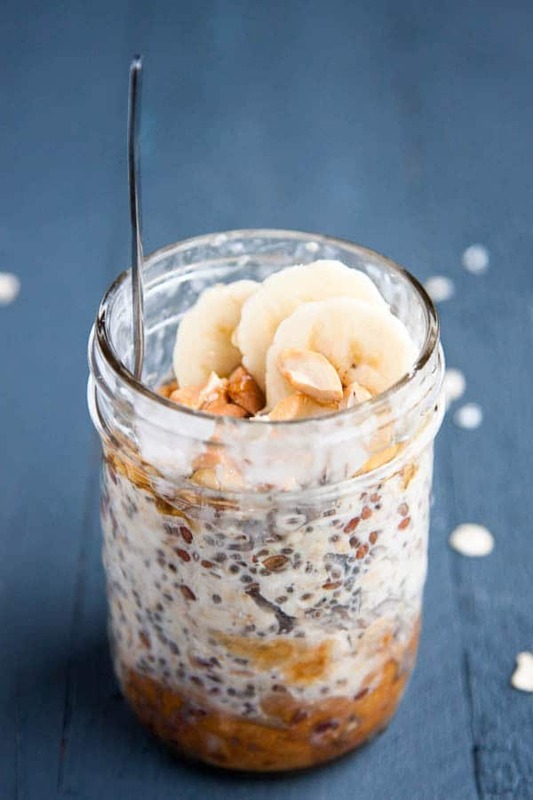 Overnight oats are quick to prep the night before - in the morning, you can just grab your convenient mason jar from the fridge and breakfast is ready faster than you can say chia seeds! Recipe yields one half-pint (8oz) mason jar. ...etc! The options are endless! 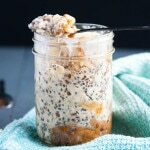 In a half pint (8 oz) mason jar, stir together milk, chia seeds, and maple syrup. Add oats and stir again, making sure all oats are moistened. Stir in any of your add in options! Screw on mason jar lid and set in refrigerator overnight. 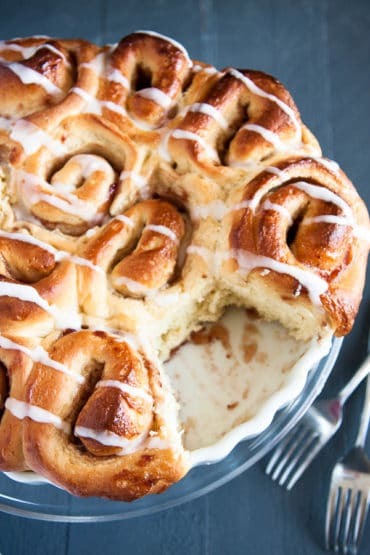 In the morning, gently stir, and eat! Can I eat overnight oat for dinner? 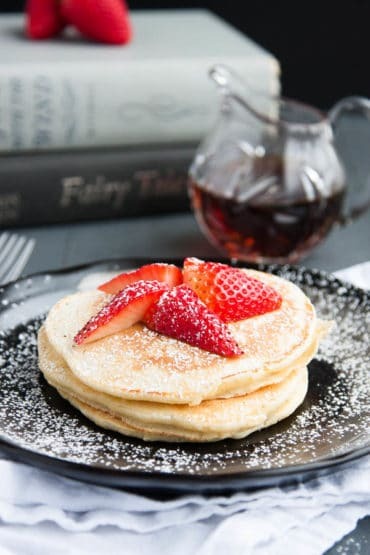 I’m a firm believer that you can eat anything you want for dinner – and eating oatmeal is certainly healthier than eating pancakes! Enjoy!